The Sixty Best Episodes of XENA: WARRIOR PRINCESS (Number Nine) | THAT'S ENTERTAINMENT! With all that said, let us resume with episode number nine on the list. Episodes where Xena goes “badass” have an inherently elevated entertainment level. Similarly, episodes where Xena and Gabrielle come into conflict have an automatic way of ratcheting up the stakes. Simply put, it makes for great and entertaining drama. In “The Price,” Xena becomes extra ruthless when she literally takes control of the Athenian army as they face off against the savage Horde. Gabrielle, really unaccustomed to this type of warfare, is incredibly taken aback. And the best moments in this excellent episode occur between our two heroines. While fishing one morning on the river, Xena and Gabrielle are startled to encounter a dying soldier who tells the ladies of the Horde. As he dies, more bodies float by and the ladies instantly find themselves under attack. They rush into a canoe and paddle down river, while Xena reveals to Gabrielle that her army once fought the Horde to a catastrophic defeat — her men were tortured and stripped of their flesh. As dying Athenian soldiers line the river banks, the Horde resumes their attack, and Xena and Gab rescue a drowning soldier. The chase continues, but Xena realizes that she must go to shore to avoid the upcoming waterfall. Fortunately, by the time they reach the shore, a gaggle of Athenian soldiers, led by Menticles and Mercer, launch an offensive. Xena and Gabrielle take the wounded soldier to the Athenian fort, where they find the men are dispirited and famished. The wounded soldier dies and the army revolts against Menticles and Mercer — their current leadership. Meanwhile, Xena learns that the reinforcements that the army has been promised were the dying men on the river bank. As Gabrielle surveys the carnage outside the fort, she hears the dying Horde moan about “kaltaka,” which a soldier speculates is the name of their war god. Later, that same soldier refuses to obey orders, so Xena makes an example out of him in front of the men, who now proclaim the Warrior Princess as their leader. 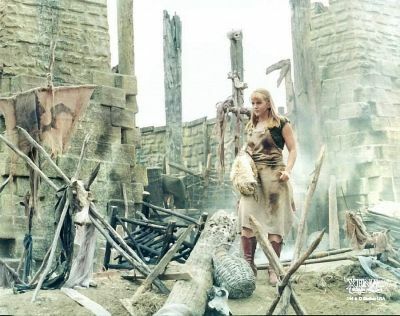 Gabrielle takes charge of the hospital, reluctantly conducting triage so that Xena can line the battlements with the wounded and dead soldiers to fool the Horde. The army arranges a series of traps and leads a unit outside to lore the Horde into their battlements, where they launch a bloody surprise attack against the savages. Gabrielle is particularly dismayed to see Xena throw a hatchet into the back of an escaping Hordeman. Gabrielle confronts Xena, who schools the bard in the horrors of war, insisting that that rations go to the men on the wall instead of the dying. Xena sends Mercer out of the fort to get reinforcements and the Athenians distract the Horde with smoke bombs. 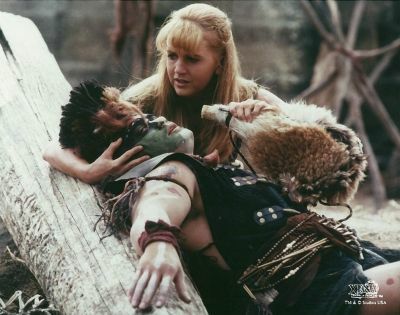 A battle breaks out, and Xena takes a young Horde warrior captive. She puts the “pinch” on him for interrogation. But the language barriers prove difficult, so Xena leaves him to die. Gabrielle insists that she extract the “pinch,” and an angry Xena complies, later ordering Gabrielle never to question her authority in front of “her troops” again. Gabrielle is confused and asks what happened to the Xena she knew. Xena retorts that this is the price they must pay for survival. Later, while visiting the captive warrior, Gabrielle learns that “kaltaka” means water in their language. Gabrielle realizes that the dying men on the battlefield are simply thirsty, so she sneaks out of the fort and gives water to the dying Hordemen. Thinking this is a truce, the Horde begin removing their wounded from the battlefield. The Athenians retrieve their men and Xena recognizes how blindsided she’s become. Mercer comes back wounded. As Gabrielle tends to his wounds, Xena apologizes for her behavior. 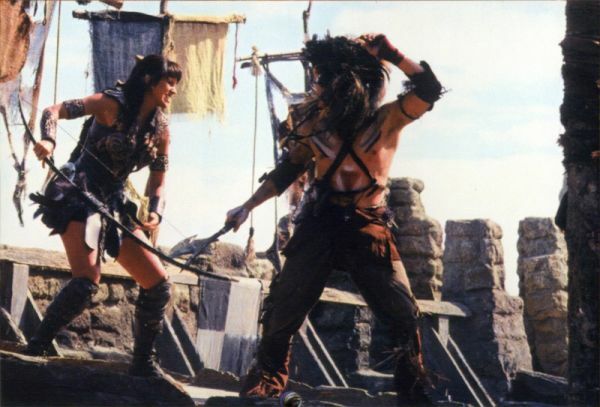 Preparing for a final battle, Xena visits the captive warrior and learns that the Horde have a chain of command; the only way to end the war is to have the two leaders face off against each other. Xena defeats the Hordemaster on the battlefield, but doesn’t kill him. As she turns her back to walk away, the Hordemaster plans to strike, but he’s axed in the back by his own men. The Horde retreat and the Athenians plan to do the same. As they leave the fortress, Xena commends Gabrielle for her humanity. There are three excellent Xena/Gab scenes in this episode and they’re really the crux of the episode — with talk of humanity, the horrors of war, the price paid for survival, the necessity of compassion, etc. (It’s a Steven L. Sears episode, after all!) They really, almost singlehandedly, make the episode worthwhile. This is Pre-Rift Xena, so our heroines have yet to come into REAL multi-episode conflict with each other. But the interesting thing about Season Two is that there are seeds planted. There are clashes between the women, where their contrasting ideals are pitted against each other. (“Orphan Of War” and “The Execution” are two Season Two episodes that come to mind.) Interestingly, Lucy Lawless had trouble with the dark turn her character takes in this episode, insisting that this would never happen. (Little did she know what was coming next season!) Fortunately, because Xena’s behavior was essential to the conflict, nothing was toned down. There’s a lot to be said about this episode when looking at it in hindsight. Three episodes prior, in “The Execution,” Xena warned Gabrielle about the danger of putting people on pedestals. In this episode, almost for the first time, Xena is temporarily knocked off the pedestal that Gabrielle has put her on. Conversely, and perhaps more notably, the episode ends with Xena lauding Gabrielle (“You don’t know how much I love… that.”), essentially reinforcing the idea that Xena herself has put Gabrielle on a pedestal. 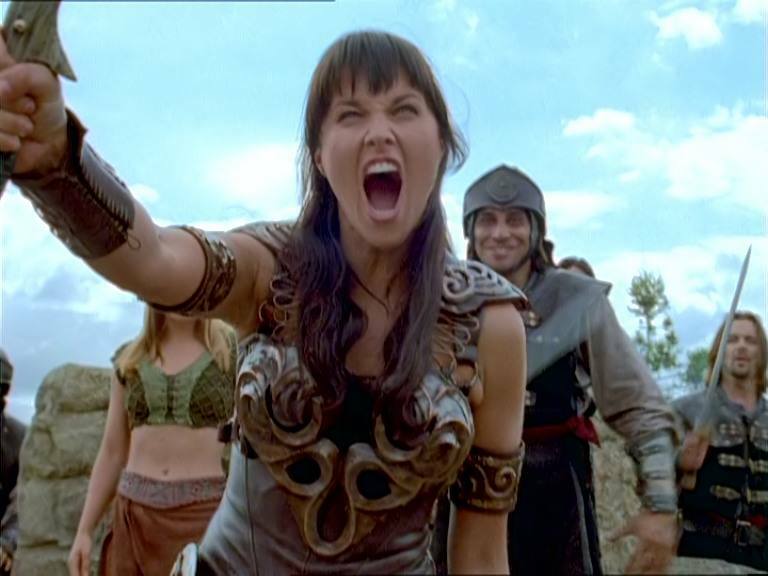 In fact, the writers decide to use Xena’s desire to spare Gabrielle’s “innocence and youth” as part of the motivation for her deceit regarding Ming T’ien’s murder in Season Three. But as interesting as Xena gets to become in this episode, I think “The Price” has more notability for its place in Gabrielle’s development. The character has yet to kill, so she’s relegated to working in the hospice. In less than two years, she’ll be on the battlefield leading men to their deaths in “A Good Day.” It’s mind-blowing how much more responsibility Xena gave to Gabrielle in that Season Four episode compared to this Season Two episode. 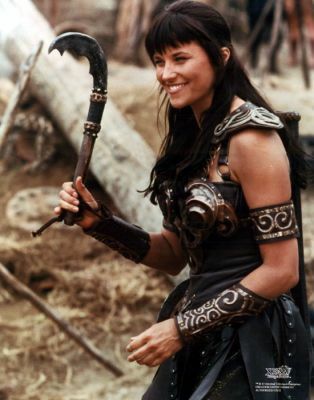 (Perhaps once Gabrielle had Crassus executed in “When In Rome…” Xena figured Gab could handle it.) 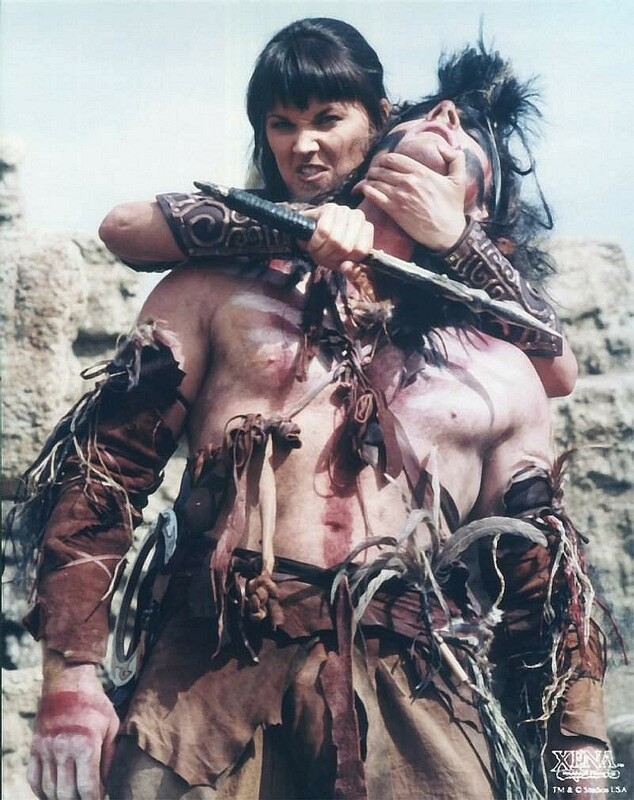 Again, with hindsight, contrast Gab’s revulsion to Xena’s axing a man in the back in “The Price” with her ferocious chase of the retreating warrior in “To Helicon And Back” from Season Six. Some interesting questions are raised: Did Gabrielle lose some of her humanity by staying with Xena? Did she pay a price for survival? Come back next Thursday for number eight! And don’t forget to check back tomorrow for another Film Friday post! Pingback: THE XENA SCROLLS: An Opinionated Episode Guide (219 & 220) | THAT'S ENTERTAINMENT!